One of the tragic themes we hear in almost all of these medical kidnapping stories is that the judge in family court is so quick to approve CPS in their removal of the child from the parents. CPS can enter a home without a warrant or court order, simply because there is a complaint that a child is in “imminent danger.” Often that complaint is from a doctor. Law enforcement is trained to cooperate with CPS, and the child is removed, by force if necessary. Then it is up to the parents to fight it out in family court to get their child back. Last year, Health Impact News covered the story of Alex and Anna Nikolaev in Sacramento California, who had their infant child seized by force and removed from their home, simply because they took their child out of a hospital, and brought him to a second hospital for a second opinion. They did not think they were getting good care at the first hospital. The doctor called the police, who arrived at the second hospital, where the child was being well cared for, so the police did nothing further. The local media caught wind of this story, and it caused a huge public outcry. When Alex and Anna arrived at court a few days later to appear before a judge and try to get their baby back, quite a few supporters had arrived at the court house. The chances they will get their baby back today are (slim). In my 21 years of experience, between me and my colleagues, we have seen maybe 3 cases where the child was returned the first day. Now think about that, can they really be right that much of the time? Since Alex, the father, is a Russian national, and the Russian press had picked up the story, Russia made a formal protest of human rights abuse. Not surprisingly, the judge wanted no part of this case, and allowed the baby to return to the hospital of the parents’ choice. But most other families are not so fortunate. The Defend Parental Authority in Arizona  Facebook Page recently released a video clip from the Arizona Judicial Branch government website . It is from their Dependency Video Series training Family Court Judges on how to handle Dependency cases in family court. Judge Aimee Anderson and Judge Mark Brain of Maricopa County are giving a presentation in this clip that instructs judges how to handle cases brought to family court by CPS. If you are removing a child, in a Contrary to the Welfare finding, that order is mandatory. If you do not make that finding whenever you remove that child from a placement, you’re forfeiting federal funds… The federal government says that if you did not make that (decision) right at the outset the first time through, you’re not going to get any federal money for those services, ever… CPS is going to have a kid they cannot pay for. As we have pointed out in another article (The Medical Kidnap Business: Bilking Medicaid ), a child taken into state custody can have all of their medical care billed directly to Medicaid, and this alone represents an industry worth hundreds of millions of dollars nationwide. There are other funds also available for programs like foster care. Obviously, children with medical needs present the greatest amount of federal funds the state can receive per child. So what if the child was removed unnecessarily? What if the child actually was NOT in danger with the parents? Is it the responsibility of the family court judge to find out? My answer is “no.” And the reason is that there are two ways to remove a child. CPS, yes, can go in and grab them… The second way is upon order of the court children can be removed. Judge Brain makes it clear that his order even supersedes CPS if they are uncomfortable removing the child. If the parents don’t like it, according to Judge Brain, they can fight it out in Civil Court and pay a lot of money. So is this training video for judges in Arizona designed to carry out their oath and seek justice for protecting families, or to fill their quota of children that need to become wards of the state to receive federal funds to pay everyone’s salaries and benefits? I would highly recommend that you include the following information on your pages that talk about the abuse that CPS does to families by taking children away needlessly. It will help the parents tremendously if they will hire a private lawyer. Not the court-appointed lawyer, but a private lawyer, one who knows CPS. My husband, who works for CPS, and also recently got his master’s in Social Work, said that there are virtually no children from middle and upper class families in CPS, and that the workers tremble and make sure they are careful what they do when they see a family has a private lawyer. Also, the judge is more likely to view the family favorably if he sees a private lawyer. Many families would say or do (or neglect to say or do) things that would hurt (or help) them in their case, because they don’t know the law. They will believe what they are told, even if the information is not correct, because they don’t know better. It is absolutely crucial that parents get a lawyer to help them with their case, and that they sue the agencies involved (including policemen and hospitals, if necessary) if any unlawful actions were taken against them. If the parents don’t have the money, they should start a fund for friends and family and community to help them out. While judges in family court apparently know how to play the system to their benefit, sometimes they get caught. Earlier this month (October 2014) Vermont’s Attorney General Bill Sorrell filed a lawsuit to revoke funding for a nonprofit supervised visitation center handling foster kids placed there by a judge in family court. Emerge Family Advocates, Inc., a non-profit, is operated by a state legislator, family court judges and some of the professionals who appear before them, according to Commdiginews.com . Emerge has received millions in grants from State and local agencies in Vermont and New Hampshire. Funding sources include the US Department of Health and Human Services Office of Child Support Enforcement’s Access and Visitation program, as well as the US Department of Justice Office of Violence Against Women (OVW) Safe Havens grants. 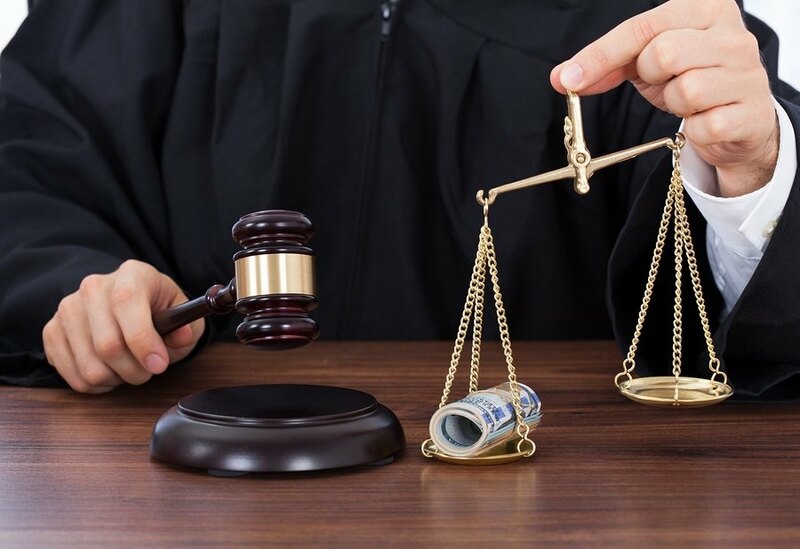 Concerns are that some New England courts are protecting the financial investments of unethical industry professionals instead of the best interests of the families. The Attorney General’s investigation was prompted by numerous consumer complaints. Records from the Judicial Conduct Board show that in 2009, family court Judge William Boardman was suspended from the bench for six months in conjunction with financial misconduct Boardman allegedly committed while acting as both the court’s administrator and Emerge’s co-founding director. The JCB also required Boardman to resign from his position on Emerge’s board of directors. According to the decision, Boardman co-founded Emerge with current director Russell, current President Joseph Verdine, and Roberta Tracy. IRS tax documents show that State Senator Richard McCormack (who sits on the Child Poverty and Health and Welfare Committees), psychiatrist Matthew J Friedman, and the late Charles Baker were also co-founders. We get comments from people upset that we are publishing stories of families whose children have been medically kidnapped. They tell us that there is always another side of the story, and that these kind of things just don’t happen. Yes, they do. And we are the ones publishing the “other side” of the story.